Corporate Battlefield’s Event teams are selected according to the requirements and nature of the client’s business. The team members are all professional in their own fields and together they bring a product that embodies trust, honesty and pride. From the outset they work to deliver a programme and event itinerary that is based on a sound understanding of client issues, good listening and innovative planning. Our battlefield guides research the stories and vignettes of the battlefield that directly link to our client’s outcome requirements. On the battlefield they deliver the story and emotion in an engaging way from what they believe to be the historical truth. This sets the scene for the business workshops and discussions that follow. 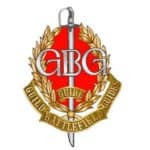 They are all at the top of their profession and those that are ‘Badged’ members of the International Guild of Battlefield Guides have their Badge Number identified in their biographies below. Andrew has been visiting battlefields for over thirty years, having always had a passion for military history. For several years he has been researching sport and sportsmen in the Great War, with a particular focus on the role of professional footballers during that conflict. Following the publication of “When the Whistle Blows: The Story of the Footballers’ Battalion in the Great War” in 2008, Andrew has been frequently interviewed on television and radio on subjects relating to football and the Great War. He has also contributed Great War articles to a range of publications. In 2010 he worked alongside the Football League to erect a memorial to the officers and men of the Footballers’ Battalions which was unveiled in Longueval on 21 October 2010. In March 2014 Andrew had the privilege of guiding the three-day ‘Football and the Great War’ Centenary Tour to commemorate the sacrifices made by professional footballers in the Great War. Among the party were senior figures from the FA, Football League, League Managers Association, Premier League, Professional Footballers’ Association and other bodies associated with our national game. He owns Badge Number 64 of Guild of Battlefield Guides. Andy Johnson has a lifelong interest in warfare and, over many years, has visited battlefields in Europe and India. He served in the RAF for 28 years and flew extensively in air operations over Bosnia, Kosovo, Afghanistan and Iraq, before leaving in 2009 to pursue a second career in battlefield guiding. He has led school, general interest and military tours to Normandy, Arnhem and the Western Front. Andy has an insider’s view of the air environment, particularly as regards human factors and team dynamics, and has led Dambusters, Battle of Britain and Bomber Command tours. He visited India on numerous occasions and has a particular interest in the East India Company and the battles fought by the men from undivided India on the Western Front during the Great War. He joined the Guild of Battlefield Guides in 2008 and completed validation in November 2011 to win Badge Number 52. Sue has ‘followed the drum’ at home and abroad most of her life, while also pursuing a career as a teacher and then art history lecturer. In addition to being a qualified London guide, she also has Blue Badge qualifications for Cumbria, Liverpool and the South West. She is a recent past Chairman of two London guiding associations and currently Course Director for the London guide-training course. She is an Associate of the Guild of Battlefield Guides and has a special interest in the Art of War, Battlefields and their memorials. Sue presented at the Corporate Battlefields Annual Guest Evening at the Institute of Directors in 2012 and assists during our London leadership walks. David was commissioned in the British Army for 20 years seeing service in Northern Ireland, Kenya, Cyprus, Germany, Norway and the Dhofar region of Oman. He holds Badge Number 46 within the International Guild of Battlefield Guides, specializing in the Western Front of both WW1 and WW2, with a special interest in the Normandy campaign. David led eBay’s senior management team in 2010 and The Conference Board in 2011 on their respective D-Day Normandy beaches leadership Events. Dr Christopher Scott has been walking battlefields and analysing ground and tactics for over thirty years. He attended and advised during the inauguration of the Corporate Battlefields trial in 2006. He has guided bodies of international historians, senior officers and ‘battlefield experts’ over sites of Cromwell’s, Wellington’s and Marlborough’s victories, and is a Trustee of the Battlefield Trust and The Guild of Battlefield Guides. His published works sell and his new academic critique for battlefield study is becoming established. Chris is a freelance lecturer, author, and education and museology consultant; he is also a good storyteller and won the Cameron Mackintosh Playwright Award. Chris delivered to the Brother UK sales management team at their Leadership Event on the battlefield of Naseby in 2010. Chris holds Badge Number 5 within the Guild of Battlefield Guides. Iain Standen is the CEO of the Bletchley Park Trust, and is responsible for the running of this iconic heritage attraction which housed the Government Code and Cypher School (the forerunner to today’s GCHQ) during the Second World War. He assumed this role in January 2012, following 28 years as a commissioned officer in the British Army. He has a lifelong interest in history and heritage, and has been an active battlefield guide for some 25 years. He holds Badge Number 24 of International Guild of Battlefield Guides. Since then he has toured the battlefields of the United Kingdom, France, Belgium, Germany, Italy, and the United States, covering battles and campaigns from the Seven Years War to the Second World War. Whilst maintaining a broad interest in a range of campaigns, the American Civil War remains his favourite era. In his current role he is naturally suited to delivering Corporate Battlefields Events at Bletchley Park. Mike holds Badge Number 38 of the International Guild of Battlefield Guides and a photographer who has worked in over 60 countries around the world for a wide range of media, corporate and industrial clients before becoming involved in military history. In August 2014 an eight year project documenting the battlefields of the First World War came to fruition when HRH The Duke of Kent opened Mike’s unique photo-exhibition Fields of Battle, Lands of Peace 1914-1918 in St James’s Park. His work and background have given him a unique insight into the landscapes of war which he uses to enable Corporate Battlefields clients to visualize the pressures of conflict. Paul Naish is a former detective in the British South Africa Police (BSAP) and commissioned officer in the South African Army. He is a qualified as a South African registered battlefield guide and led numerous tours and expeditions throughout Southern and South East Africa. He has travelled abroad delivering lectures and tours to audiences on 19th century Southern African military history and contributed to several historical books and publications. Using his experience in the military environment, both in the classroom and in the field, he has motivated and trained up echelons of game rangers in the Democratic Republic of the Congo (DRC) and Indonesia to combat the scourge of poaching in hostile environments. Paul delivered the Corporate Battlefields leadership workshop to the Sanitech senior management team at Isandlwana. He represents Corporate Battlefields in Africa is married and lives in Durban with his wife. Paul Woodadge began working as a Normandy professional battlefield guide in 2002. His first visit to the Calvados region had been as a teenager following in the footsteps of his Great Uncle who landed on Sword Beach as a Platoon Commander in the Royal Ulster Rifles. Following a number of diverse jobs in the UK, Paul visited Normandy on numerous occasions acting as an unofficial tour guide and organiser to many re-enactment, history and veterans’ groups. Paul has guided business executives to most of the battle sites in Normandy where the GI fought. He has worked for Corporate Battlefields since 2009.